WHAT IS THE CREDIT CARD VERIFICATION NUMBER? We request the additional "V-code" Verification Code from your credit card to protect you (and ourselves). This Verification Code is found in different places on each credit card. This additional number is a built-in fraud protection system. It has been created in case someone has possession of your credit card number, but does not have the actual credit card since the number is often found on the back. 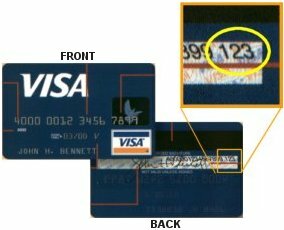 The Verification Code is a three-digit number on the back of your Visa credit card. The full credit card number is reprinted in the signature box while the Verification Code can be found at the end. 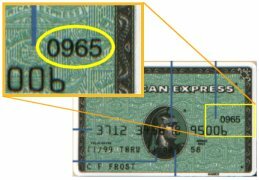 The Verification Code is a four-digit number on the front of the card above the credit card number. It can be found on either the right or the left side of your American Express credit card. 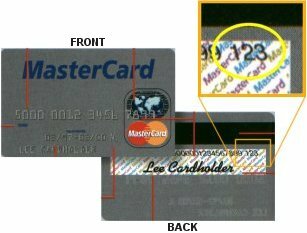 The Verification Code is a three-digit number on the back of your MasterCard credit card. The full credit card number is reprinted in the signature box while the Verification Code can be found at the end. 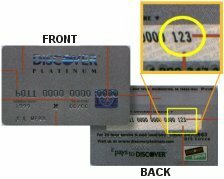 The Verification Code is a three-digit number on the back of your Discover credit card. The full credit card number is reprinted in the signature box while the Verification Code can be found at the end.